Bencher: Newsy Lalonde was Montreal’s man in charge in 1932-33, another trying year in Canadiens’ history. “Cette année, c’est terminé.” That was Michel Bergeron writing last week at TVA Sports about — of course — the Montreal Canadiens and the dismal season they’ve been lurching through. With 28 games to go in the season, the likelihood of Montreal making the playoffs was a wretched two percent going into Saturday’s game against Nashville. By this morning, post-shootout-loss, it had drooped to 1.2. The autopsying has been underway for a while now, which has to be painful for the patient. When Carey Price hasn’t been injured, he’s been — how to put this, so it’s polite? — not quite himself. Max Pacioretty has been someone else, too, which nobody would be complaining about if that someone were Steve Shutt or Toe Blake, but no, sorry, that hasn’t been the case, and so the talk is, as it has been, that is/should be/must certainly find himself traded away before the NHL’s February 26 trade deadline. Jonathan Drouin, meanwhile, is still looking for his inner Pierre Larouche, while Joe Morrow’s Jacques Laperriereitude has been erratic at best. P.K. Subban has been P.K. Subban, it’s just that he’s been P.K. Subbaning it on Broadway in Nashville rather than more locally on Avenue des Canadiens-de-Montréal. At the Montreal Gazette, Jack Todd is one who’s been gazing back. If only in 2003, then-GM Bob Gainey hadn’t drafted so cautiously, and/or known what we know now. The result of his bumbling back then? Two appearances in an Eastern Conference final and a quarter-century without a parade. That was not the goal when Gainey took over and began his career by drafting Andrei Kostitsyn with the 10th pick overall, while Jeff Carter, Dustin Brown, Brent Seabrook, Zach Parise, Ryan Getzlaf, Brent Burns, Ryan Kesler, and Corey Perry were still on the table in the first round alone, then taking Cory Urquhart with Patrice Bergeron and Shea Weber still out there. Somehow, the Canadiens have to come out of the carnage of this season with a quality centre to fill that hole in the donut on the top line — and, somehow, they need to close the charisma gap. Another Gazette writer thinks it’s time Canadiens did what they’re doing in New York. Maybe you saw the letter that Rangers’ president Glen Sather and GM Jeff Gorton posted for fans of the team last week, the one that began, ominously if honestly enough, “We want to talk to you about the future.” It went on to outlining what may be coming in the way of tearing down a team that’s 23.6 percent headed for the playoffs. Team president Geoff Molson and general manager Marc Bergevin should take a page out of the New York Rangers’ playbook and come clean to their fans for the travesty that is the 2017-18 Habs. Better yet, they should concede that their plan has failed and that the time has come to rebuild this team. It may be in the mail. In the meantime, can we consider that there’s nothing so new under Montreal’s cold winter sun? It won’t boost any playoff percentages, nor calm any restive hearts or keyboards to hear it, but Canadiens have been here before. In February of 1933, for instance. Leo Dandurand was the man in charge back then. 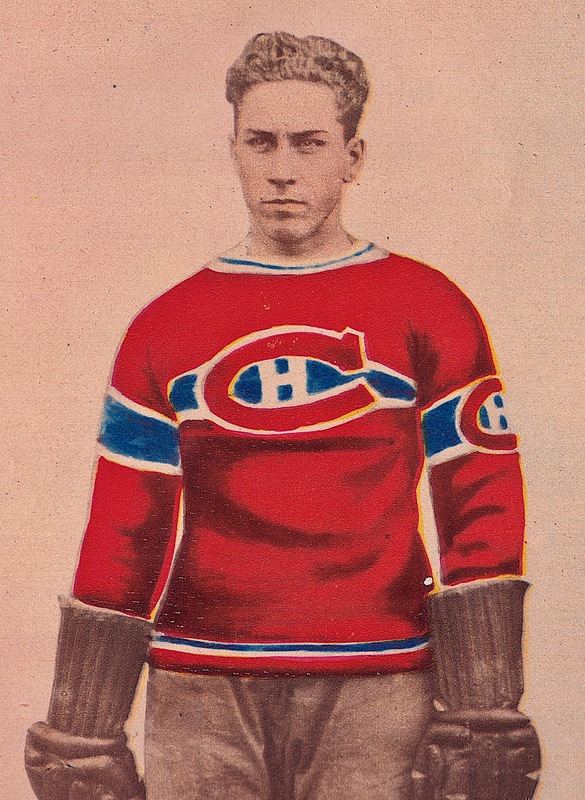 He co-owned the team, with partner Joseph Cattarinich, who’d once (way back) tended the Canadiens’ goal. 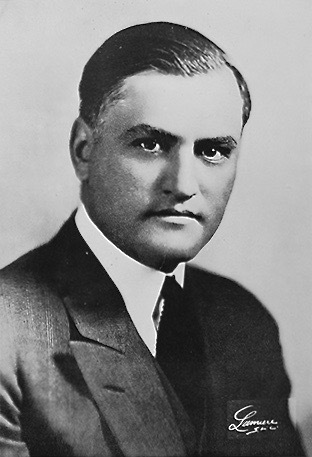 Dandurand had coached the team in the early 1920s, and continued to manage the roster after he gave that up. Over the course of a decade, his Canadiens won three Stanley Cups. The last of those weren’t such ancient history in ’33, either: Dandurand’s teams were back-to-back champions in 1930 and ’31. In ’32, they’d topped the standings during the regular season only to fail at the first fence they faced in the playoffs. George Hainsworth was 37, sure, but he was still playing every game, and in ’31-32 he’d won more of them (25) than anyone else tending an NHL net. Sylvio Mantha, Marty Burke, and Battleship Leduc were stalwarts, still, on defence. 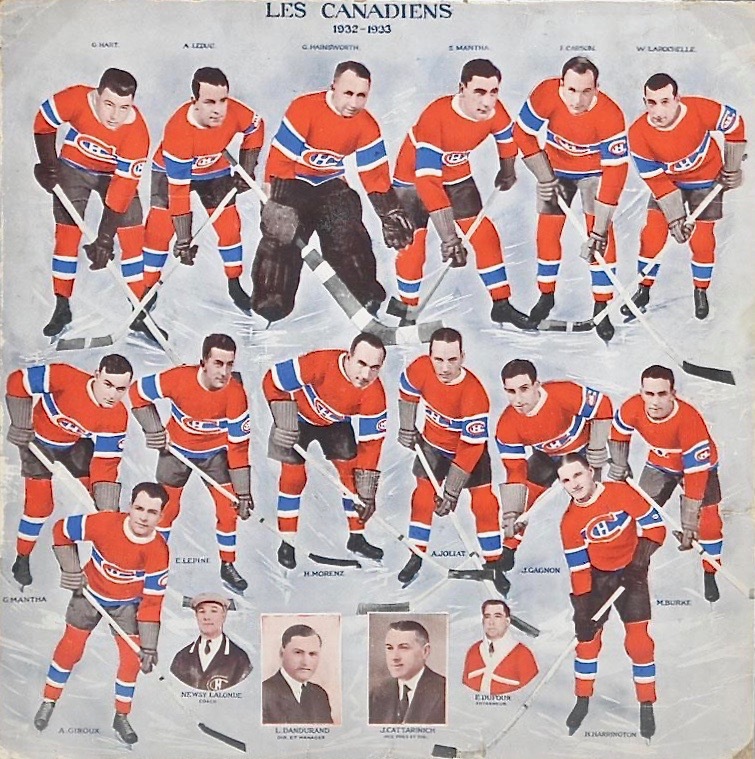 Upfront, Canadiens had Howie Morenz, Aurele Joliat, and Johnny Gagnon as their leading line. 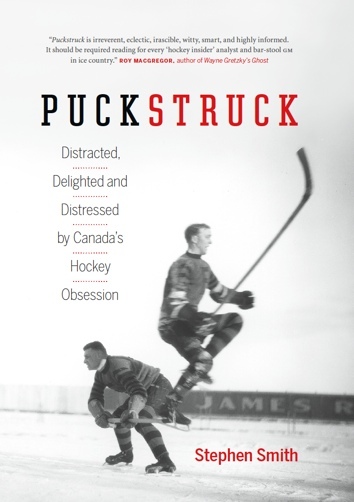 Hockey, of course, was only one of Dandurand’s guiding interests. He was heavily into horses that ran, owned race tracks, spent his winters, increasingly, in the southern U.S. In January of ’33, he was down in New Orleans, ensconced for the season at Jefferson Park. Or maybe not. Canadiens were struggling in the early days of the new year, stuck in last place in the NHL, down at the bottom of the five-team Canadian Division. Lalonde was shuffling his lines that month, extracting Morenz from the top line with Joliat and Gagnon, slotting in Pete Lepine. Dandurand was back in town, too, to monitor the situation. Canadiens won a couple of games, but they couldn’t keep it going. By the end of January they were looking to the Providence Reds of the lower-loop Can-Am League for a boost. Lalonde reportedly had designs on drafting in an entire line of theirs, the one featuring Gus Rivers, Hago Harrington, and Leo Murray. Dandurand went two-thirds of the way, sending forwards Armand Mondou and Leo Gaudreault to Providence in exchange for Murray and Harrington. The team continued its indifferent play into February. The situation wasn’t hopeless: with 20 games remaining in the 48-game schedule, Canadiens were level, now, with Ottawa, lurking just five points behind the Montreal Maroons and New York Americans. String some wins together and Canadiens would be right back into the thick of it. It wasn’t happening, though. They lost, and badly, to the Americans and Maroons in succession. It was with the latter defeat that the team seemed to cross a line of Dandurand’s. Time to for a change. “To Dismantle/ Famous Team” was the couplet atop a photo of Dandurand in The Winnipeg Tribune. The word from Montreal was grim: he was ready to rid the roster of as many as five underperforming players, “asking waivers” in the parlance of the day, though he wasn’t yet naming names. Having lost 7-2 to their cross-town rivals, the players were reported to “gloomy, dispirited” when Dandurand came in to see them in the dressing room. Dandurand announced that wasn’t going to fire Newsy Lalonde: the coach had his confidence. 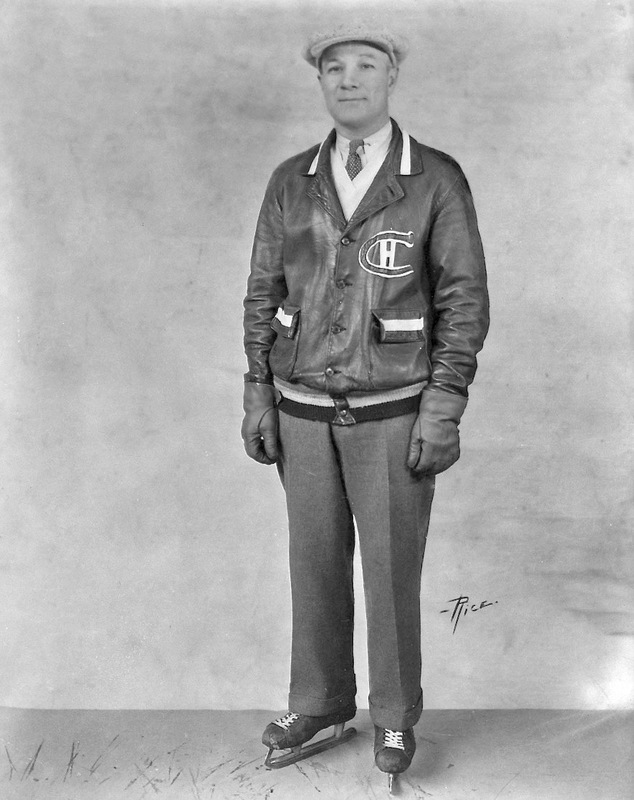 Rumours of imminent trades bustled around Montreal, involving … everybody, up to and including Howie Morenz, who’d been great to start the season but had tailed off in the new year. The uproar in the press wasn’t what it is today, but that’s not to say the players weren’t scrutinized, one by one. Pit Lepine had been suspended, briefly, for “breaking training rules,” a euphemism you often see in early NHL days that sometimes alludes to hangovers, though it might just as well be that Lepine overslept. Either way, he was playing better now, as was Sylvio Mantha, who’d started the season slowly. The best you could say, apparently, for Gagnon and Joliat was that they’d been inconsistent. Battleship Leduc, too: spectacular in one game, he was ineffective the next. Hainsworth had to shoulder some of the blame, too. I don’t know whether he was pleading his case or just mentioning the math he’d been doing in his spare time, but that desolate February the goaltender did mention to an attentive reporter that he estimated that since he’s started his career in 1912, he’d faced 18,500 shots. At first, Dandurand’s dismantling involved another influx from Providence. He brought in defenceman Bob Trapp and forwards Art Alexandre and Gizzy Hart. The new-look Canadiens beat Toronto 2-0 after that, which was good, though they followed that up with a 2-0 loss to Chicago, after which Dandurand fined Johnny Gagnon $200 for not showing sufficient interest in the game he was playing. A trade this week in 1933 saw veteran defenceman Marty Burke depart for Ottawa in exchange for blueliners Harold Starr and Leo Bourgeault. Ten goals to noting is something that French ears will hardly be able to credit. Crapeau de mer, par bleu, and sacre nom d’un chien! There must be something very sick with those Canadiens. Maybe they are not getting enough pea sup. Perhaps they are getting too much, but something is very wrong with that team. The other night when they defeated Ottawas they looked like a good bet for a play-off position. Now Leo Dandurand will be tearing what’s left of his hair and throwing it all over the dressing room floor. It’s nothing, however, to where he may throw some of his hockey players before another season comes. It was the worst performance in Hainsworth’s history of bombardment, the third period in particular, when seven of the 17 shots that came his way passed him by. Dandurand’s command of the schedule was a little off: Montreal, in fact, had six home games remaining, six on the road. He did get the part about the playoffs right: Montreal went 6-4-2 to pip the Americans and the Senators for the last post-season spot on the NHL’s Canadian side. Their exit was speedy: on the way to winning the Stanley Cup, the New York Rangers dispensed with them in two games. Leo Dandurand had another couple of years before he got out of the harrowing business of owning the Montreal Canadiens. He still had some adventures ahead of him before he sold the team two years later, of course, including threatening to move the team to Cleveland and, even more shocking insofar as it actually happened, trading away Howie Morenz to the Chicago Black Hawks.